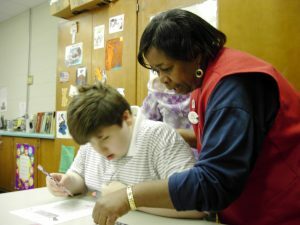 The South East Texas Foster Grandparent Program provides meaningful volunteer opportunities for income-eligible persons, age 55 or over, to establish supportive one-on-one mentoring relationships with youth in local juvenile probation, prison, hospitals, schools and child-care facilities, and Head-Start programs. The fostering of these relationships has assisted in answering the goals set forth by numerous agencies to break the cycle of drug abuse, crime, and other problems experienced by a growing sector of today’s youth. At the same time, the foster grandparents participate as vital members of society by sharing their wisdom, convictions, and experience.